New Cat Checklist: Everything You Need to Bring Your Kitty Home in Style! Bringing home a new feline friend? Check out our new cat checklist full of everything from kitten tips to must-have litter training supplies! 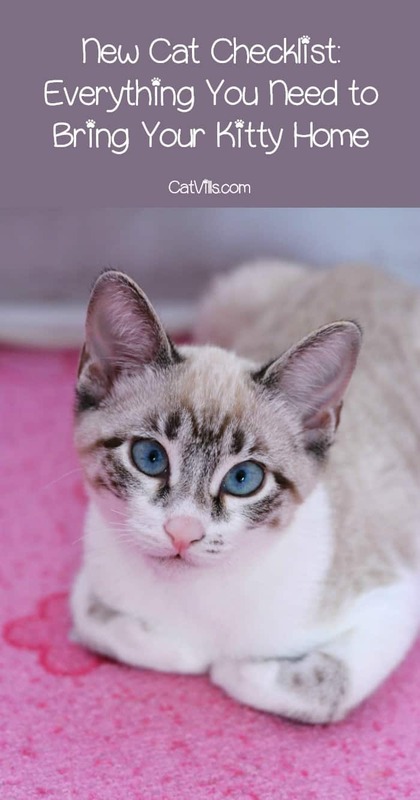 Are you thinking of getting your first cat? Have you thought seriously about it? Even though cats are independent creatures, kittens are little balls full of energy. They require a lot of attention and supervision. It’s a big responsibility. If you are confident that you’re ready for your first kitten or cat, you might be wondering what to buy. Well, I’m here to help you prepare for the arrival of the cute fur ball that is going to wreck your furniture and make you happier than ever. Here’s a new cat checklist that you can follow to get everything necessary to raise a healthy cat. Since you don’t want to be scooping poop out of the flower pots or off the carpet, a litter box is first on the list. Fortunately, cats are not very picky when it comes to litter boxes as long as they are big and deep enough to suit their needs and you place them in a quiet place with no traffic. You’ll probably see closed litter boxes when you go ping, but not all cats are fans of those. If you are getting an older cat, she might even refuse to use one. My advice is to go simple. No matter what type of litter box you buy, you must scoop it once a day and wash it every week. So, don’t forget to purchase a scoop and cleaning supplies for litter boxes. Also, remember you need x+1 litter boxes, where x is the number of cats you have. After you have chosen the litter box, it’s time to get the litter. My tip here is to avoid scented ones. Most cats don’t like the smell, and they will be hesitant to use the litter box. As a result, you might start to find unwanted presents around the house. The easy solution is to ask the caretaker of the cat/kitten which brand they use and buy the same. If that’s impossible, go for unscented, clumping litter. The cat might not mind eating off the floor, but you certainly do. That’s why food and water dishes are next on the list. Look for metal or ceramic bowls. Avoid plastic. Some cats don’t like the smell, and some are even allergic to plastic. Water should also be offered in a metal dish, or you can buy an automatic water dispenser for cats. Kittens have different nutritional needs than grown-up cats. Take this into account if you’re getting a small kitty and look for cat food for kittens. Get both dry and wet food and don’t buy in bulk until you’ve established what your cat likes and what she doesn’t like. When you buy dry food, look at the ingredients. The main ingredient should be meat, and it should contain as less filler (rice, corn, potato) as possible. The reason is a simple one. Cats are obligate carnivores, and they thrive on a meat diet. Foods rich in carbohydrates are bad for them and lead to health issues. Toys are a necessity for any household with a cat unless you want to feel the wrath of a bored cat. Anything with feathers or fur with do the trick. If it moves or makes a sound – even better. You also should get a scratching post to avoid damage to your furniture. Look for something sturdy that won’t fall apart after a few scratches. But don’t ever think that the sofa or the armchair is safe. My cats have a whole yard full of trees at their disposal, and they still prefer the sofa and the ironing board. Even though the cat is likely to sleep anywhere but the cat bed, get one. Look for something soft, fluffy and comfortable. If you are lucky, your cat may be persuaded to sleep in it instead on the freshly ironed clothes. Cats love treats as much as anyone. Just make sure that you don’t overfeed her. If you plan on getting a long-haired cat, a cat brush is a necessity. Moreover, brushing is a nice opportunity to bond with your cat and reduces the chance of finding a hairball next to the bed. You also need to get a nail trimmer to clip your cat’s claws from time to time. That will save your furniture and your hands during play time. A cat collar might be a life saver in case your cat wanders off, and somebody finds her. Cat collars are designed so that the cat can wriggle out it if she gets snagged on something, so don’t worry about choking. Kittens are one of the most curious creatures on the planet. If they want something, they’ll find a way to get to it. It’s important that you store away all things toxic to cats and everything dangerous they might swallow. Secure the windows and the balcony if you live on a high floor to prevent your cat from leaping or falling through the window. Rarely does a cat like to ride in a car and since you’ll have to bring the cat/kitten in something, invest in a cat carrier. You’ll need it again when it’s time for your pet’s vaccination or if she gets injured or sick. A cat will require a visit to the veterinarian at least once a year. Take your time and pick a vet you’re comfortable with and whom you trust to take good care of your feline. As you can see, you have a lot to do before you can bring your new companion home. Don’t worry, though. Make sure that you follow this new cat checklist, and you’ll be fine. Print out this checklist to take with you to the store. There’s even room for you to make notes about your favorite brands and preferences! Have you brought home a new cat in the past? What would you add to this checklist? Share below! This is such great advice. Thanks for the tips. Tucking it away. Great tips! My son has been begging us for a kitten, and we have been thinking about it. I never thought about “cat proofing” but that makes sense. Thanks for the advice! There are so many kinds of kitty litter – I wouldn’t know where to start! We have thought of getting a cat recently. This will be super helpful for us if we do plan on making that step. Thank you! Great tips specially for new cat owners. Will keep them in mind just in case we decided to adopt a cat. 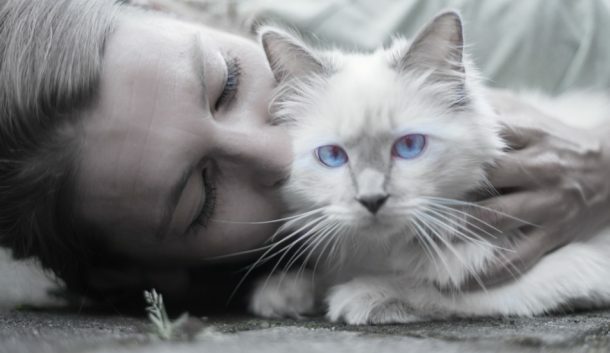 I`ve never seen a cat with such a blue eyes, it`s incredible. Absolutley useful tips, which i have been looking for for such a long time, great !